Despite optimism from some on the Hill, many think that the chances of repealing and replacing the Medicare physician payment schedule this year are uncertain. Lawmakers have until March 31 to pass a policy that either extends the current law or replaces it. A temporary patch to the sustainable growth rate (SGR) known as a “doc fix” has become an annual ritual for Congressional health staffers, but those on the House Ways & Means and Energy & Commerce Committees as well as their counterparts on the Senate Finance Committee are hoping to do away with that in 2014. Each committee has a different bill to reform the SGR, all of which they are working to reconcile into a single piece of legislation. Senate Finance Chairman Max Baucus (D-MT) said last week that all committees are “working very hard on it.” According to the statement, he had hopes to wrap up official policy negotiations by the week’s close, but committees continue mull over specifics. Baucus recently announced he will take an early retirement from the Senate to become the next U.S. ambassador to China. That shift is expected to take place in the coming weeks, adding another deadline affecting the negotiations. One of the major points of contention is where the repeal effort would receive its funding. The Congressional Budget Office (CBO) found that the Ways & Means version would cost $121 billion over ten years while the Energy & Commerce and Senate Finance versions are in the $150 billion range. The Senate Finance Committee recently released a laundry list of dozens of potential offsets that could pay for a final version of the bill. Many would undoubtedly upset the affected provider groups and Senate Finance aides attached the disclaimer “not necessarily endorsed by SFC Staff” to the list. AHCA’s legislative office continues to monitor the development to see if a final version of SGR reform comes to the fore and to reinforce the importance of the long term care community when legislators begin to mull offsets. Members of Congress were back in their districts last week in observance of the Martin Luther King, Jr. holiday and AHCA/ NCAL members did not miss the opportunity to welcome them into their facilities. And we hope you won’t either after hearing about how these visits can highlight what matters most. Sen. Jerry Moran (R-Kan.), Rep. Lee Terry (R-Neb. 2), and Rep. Adrian Smith (R-Neb. 3) met with AHCA/NCAL members in their home states while touring the care environments and answering residents’ and caregivers’ questions. On Tuesday, January 21, Sen. Moran visited Sharon Lane Health Services in Shawnee, KS for a breakfast with state affiliate, Kansas Health Care Association. The group discussed a variety of issues, ranging from quality improvements amongst skilled nursing providers to the regulatory burdens providers face when receiving some forms of Medicare/Medicaid reimbursement. Rep. Terry held a Senior Citizens Forum at Orchard Gardens Assisted Living in Valley, NE on Friday. The Congressman fielded questions from residents of Orchard Gardens and those in attendance about current Medicare policy and the future of the program. Rep. Smith was hosted at The Willows Assisted Living in Neligh, NE, for a luncheon and discussion with providers. We are thankful for the actions of all of our members to get involved with their Members of Congress during Congressional recess periods. If you would like more information about how to get involved, contact Drew Thies at dthies@ahca.org or 202 898-2816. Only Days Remain for Bronze & Gold Award Submissions! Thursday, Jan. 30, is the final deadline for all Bronze and Gold-level National Quality Award applications! All submissions must be entered to the online portal by 8:00pm EST on Thursday. No exceptions will be made. Applicants are strongly encouraged to check out the Quality Award Applicant Resources website, which hosts supporting documents, sample applications, and the ever-popular Bronze Criteria Viewing Guide. Get your center on the path to a successful Quality journey! Award recipients will be honored at the 2014 AHCA/NCAL Convention & Expo in Washington, DC. For more information, visit qa.ahcancal.org. AHCA is pleased to announce that a new electronic catalog is now available for download on our online store. Download this catalog and save it to you desktop for an interactive way to browse through our new additions and extensive inventory of informative resources. Best Practice for nutrition services is expected from healthcare providers. Facilities are accountable for providing nutrition services that meet professional standards of quality that are provided by appropriate qualified persons (e.g., licensed, certified). This webinar will present current best practice standards for nutrition and for nutrition related to wounds and hydration. The standards reflect evidence based research available to date; and current thinking. Administrators, Directors of Nursing, Dietitians and Dietary Mangers and other Facility Interdisciplinary Team Members are strongly encouraged to attend. Regulatory guidance will be addressed along with clinical standard recommendations. Speaker: Brenda Richardson, MA, RDN, LD, CD, and a known leader in the field of dietetics who works with business development/relations for Dietary Consultants, Inc. Thanks to the efforts of Tony Marshall, the Senior Director of Reimbursement for the Florida Health Care Association, AHCA is now able to post the updated 2014 Medicare Part B Fee Schedule that applies to Part B therapy services for the period from January 1 through March 31, 2014 here. As you will recall, the initial 2014 fee schedule published by the Centers for Medicare and Medicaid Services (CMS) on December 10, 2013 contained substantial sustainable growth rate (SGR) related statutory cuts to payment rates. However, with the end of the year enactment of the Pathway for SGR Reform Act of 2013, providers instead will see a one-half percent (0.5%) update to the CY 2014 Medicare Part B Fee Schedule and an extension of the 1.0 Work GPCI floor through March 31, 2014. Included in this file are tables related to Part B therapy services, including the continuation of the multiple procedure payment reduction (MPPR) policy, a change in codes commonly billed by speech language pathologists, as well as changes to wound related codes. An overview of the Physician Fee Schedule Payment Policies may be found on the CMS website and an overview of skilled nursing facility consolidated billing and annual updates can be found here. State-specific details for 2014 can be found online. Congress is in recess this week after finalizing the omnibus appropriations bill last week, effectively setting funding levels for all government programs for the year. The recess, coinciding with Martin Luther King, Jr. Day, is the first so-called “work week” when Members of Congress return to their districts. Though Members of Congress are out of town, it doesn’t mean legislative planning is not in full-effect. With the appropriations bill passed, the next large items on the agenda will be attending to the debt ceiling, a date estimated to be in either late February or early March, and revising latest “doc-fix,” set to expire this March. Meanwhile, AHCA and the rest of Washington, D.C. are still digging out after a snowstorm this week which closed federal offices Tuesday and a two-hour delay on Wednesday. AHCA, however, continues to monitor the legislative developments, snow or shine. Registration Extended: Don't Miss the NCAL Spring Conference! Advance registration has been extended until this Friday, February 14, for the 2014 NCAL Spring Conference! Act fast and register today to receive this discounted rate! Taking place at Caesars Palace in Las Vegas, Nevada, March 10-12, plan now to attend this in-depth learning experience. As an added incentive, bring more than one person from the same organization you will save $25 off their registration fee. The 2014 theme, “The Future is Now,” will feature the latest developments in the assisted living profession as well as dynamic keynote speakers and valuable networking opportunities. This is a must attend event that will help your organization reach its optimal potential. Interactive and hands-on sessions regarding ACOs, resident acuity Assisted Living Aligning with ACOs, and the role of REITs. Valuable resources for developing your social media presence, handling resident bullies, preparing for emergency events and addressing workplace violence. Opening Keynote Speaker Chef Jeff Henderson, an award-winning chef, motivational speaker, New York Times best-selling author, and Food Network television personality. The AHCA/NCAL Independent Owner Leadership Conference takes place immediately after this event March 12-14, 2014. Register for both and save! The US Department of Health and Human Services (HHS), Office of Inspector General (OIG), has released its Fall 2013 Semiannual Report. The Inspector General Act of 1978, as amended, requires that the Inspector General (IG) report semiannually to the head of the Department and the Congress on the activities of OIG during the 6-month periods ending March 31 and September 30. The semiannual reports are intended to keep the HHS Secretary and the Congress fully and currently informed of significant findings and recommendations by OIG. In the report just recently released, covering April 1, 2013-September 30, 2013, OIG reports that OIG audits identified more than $27 million in questioned costs, and OIG investigations resulted in the imposition of more than $11,437,500 in fines, assessments, restitutions and recoveries. OIG also has made efforts to better train its employees, and made revisions to the OIG’s public website with detailed information about how and where to report wrongdoing, whistleblower rights and protections, and an overview with contact information for the Whistleblower Ombudsperson Program. To obtain a copy of the entire report, go to OIG’s website at http://www.justice.gov/oig/semiannual/1311/index.pdf. In January, the US Department of Health and Human Services, Office of Inspector General (OIG), released a report, Medicare Administrative Contractors’ Performance, which concludes that although the Medicare Administrative Contractors (MACs) met the majority of quality assurance standards; they failed to meet even one quarter of the performance standards reviewed by the Centers for Medicare and Medicaid Services (CMS), and the MACs also failed to resolve issues with 27 percent of those unmet standards. CMS requires each MAC to develop and implement a quality control plan. This plan specifies procedures to ensure that MAC services meet contract performance requirements. CMS also must develop Quality Assurance Surveillance Plans(QASPs), which contain specific standards and methods for evaluating MAC work against performance requirements. In addition to reviewing quality control plans and QASPS, and determining award fees; CMS also requires other performance monitoring. MAC standards have stringent performance requirements -- a number of standards require 100 percent performance compliance. The OIG report indicates that CMS did not require action plans for 12 percent of the unmet standards, and unmet standards without action plans were almost four times more likely to have issues go unresolved. MACs can earn award fees if their performance exceeds basic requirements, and metrics are included in MACs award fee plans to encourage improved performance. However, certain areas identified as problematic through quality assurance review were not always included as metrics in MACs’ award fee plans. Two MACs consistently underperformed across various CMS review, and CMS’ review of MACs, while extensive, were not always timely. The OIG report recommended that CMS: 1) require action plans for all quality assurance standards not met; 2) use results of quality assurance reviews to help select award feed metrics for review; 3) meet timeframes for completing quality assurance reports; 4) meet timeframes for completing award fee determinations; 5) establish reasonable timeframes for issuing contractor performance reports; and 6) seek legislative change to increase the time between MAC contract competitions to give CMS more flexibility in awarding new contracts when MACs are not meeting CMS requirements. To obtain a copy of the entire report go to OIG’s website at http://go.usa.gov/ZvsH. Complying with the court settlement in Jimmo v. Sebelius, which overturned the so-called ‘improvement standard,” CMS released revised program manual guidance and has initiated its agreed to outreach and education efforts, namely a Change Request (CR) 8458 to the Medicare Benefit Policy Manual with an accompanying MLN Matters article (MM8458).In addition, CMS held a National Provider Call to provide an overview of the clarifications to the Medicare program manual. On January 2013, the U. S. District Court for the District of Vermont approved a settlement agreement in the Jimmo v. Sebelius (Jimmo) case in which the plaintiffs alleged that Medicare contractors were inappropriately applying an “Improvement Standard” in making claims determinations for Medicare coverage involving skilled nursing facility, home health, and outpatient therapy benefits). The settlement agreement contained specific steps that CMS must implement, including issuing clarifications to existing program guidance and new educational material on this subject. An “Improvement Standard” is not to be applied in determining Medicare coverage for maintenance claims that require skilled care. Such coverage depends not on the beneficiary’s restoration potential, but on whether skilled care is required, along with the underlying necessity of the services themselves. Enhanced guidance on appropriate documentation now includes material on the role of appropriate documentation in facilitating accurate coverage determinations for claims involving skilled care. CMS provides that such documentation serves as the means by which a provider can establish and a Medicare contractor would be able to confirm, that skilled care is needed and received in a given case. The requirements for skilled nursing or therapy maintenance services are similar. The patient’s medical condition demonstrates that the specialized judgment, knowledge and the skills of the nurse or therapist are necessary. The Jimmo settlement only addressed the maintenance services coverage requirement. Other coverage requirements remain, such as the 3-day qualifying stay and 100 day benefit limit per spell of illness for SNF Part A, or the therapy caps for Part B. There is a fairly extensive expansion of documentation requirements. While the manual language does not add new reporting frequency requirements, or specific forms, the documentation needs to be sufficient in order for a Medicare contractor to understand that the provider is meeting the skilled coverage requirement. CMS indicated that while there is no specific coding requirement to differentiate “restorative” from “maintenance” on the claim, the clinical documentation should clearly identify whether the treatment goals are “restorative” or “maintenance” in nature. This LTC Blog article is a brief description of many, but not all, aspects of the Jimmo settlement. Providers should seek professional guidance and not base future actions solely on this material. AHCA/NCAL is excited to announce that two centers were recently named recipients of 2013 AHCA/NCAL National Quality Award program. Sandpiper Healthcare & Rehabilitation Center of Skilled Healthcare, LLC in Wichita, KS, and Prescott House Nursing Center of Genesis Healthcare Corporation in North Andover, MA, have each earned a Silver – Achievement in Quality Award. As recipients of the Silver award, these facilities have demonstrated systematic advancements in quality, plans for continual improvement, and sustainable organizational goals. AHCA/NCAL is proud to support and recognize facilities that are striving to provide the best care possible to their residents. The Affordable Care Act (ACA) created a program, the Pre-Existing Condition Insurance Plan (PCIP), to make health coverage available to people with pre-existing conditions. According to a recent announcement from the U.S. Department of Health and Human Services posted on the Healthcare.gov website, the federally-run PCIP will offer the option of two additional months of PCIP coverage to people currently enrolled in PCIP who have not yet found new health insurance coverage. This transitional coverage through March 31, 2014, will allow PCIP enrollees more time to review Marketplace plan options and enroll in the coverage that best meets their needs before open enrollment closes in March. They will be notified on www.pciplan.com and by mail of this option to extend their PCIP plan through March, along with details about cost-sharing. Eligible enrollees can purchase PCIP transitional coverage by sending in February and March premium payments; which will be the same monthly rate that they paid for January 2014. 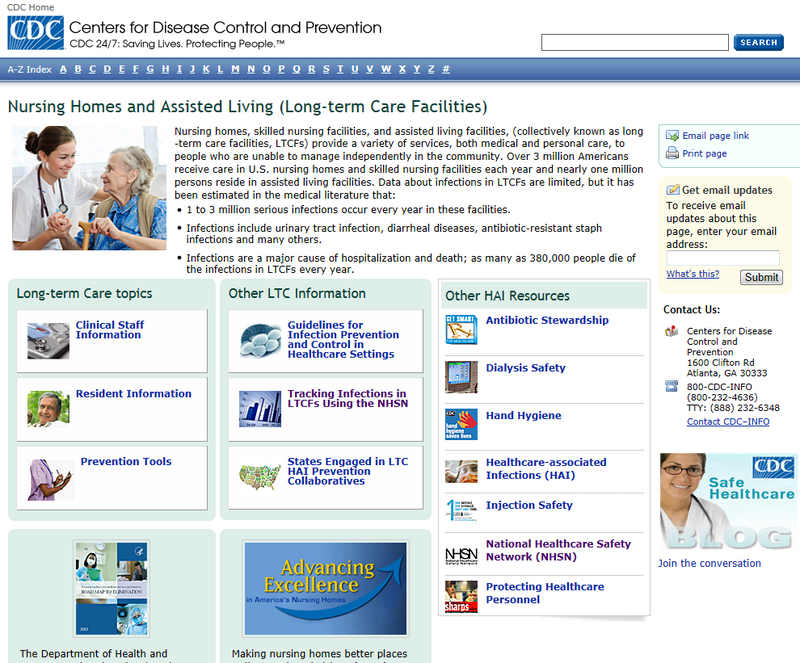 PCIP enrollees can visit www.pciplan.com for questions about benefits, doctors, and services. 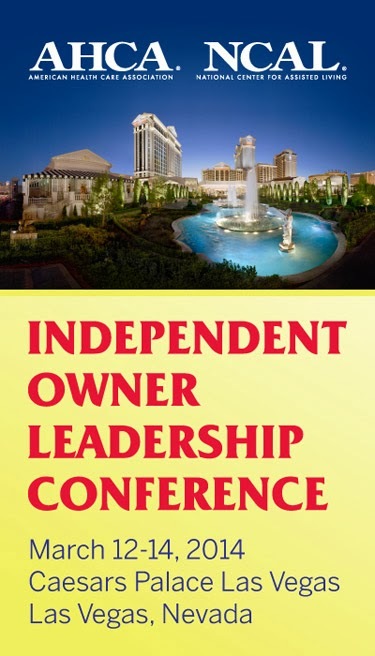 It’s not too late to join us at this year’s Independent Owner Leadership Conference. Advance registration is now closed, but you can still register on site. On-site registration opens Wednesday, March 12, 2014 at 11:00 am in the Milano Ballroom V-VIII, Promenade Level of Caesars Palace Las Vegas. Multiple education sessions with engaging speakers. An opportunity to earn up to 10.5 CEUs. Numerous networking and social opportunities including a reception on Wednesday, and a networking lunch, spectacular dinner, and special PAC event on Thursday. Attendee registration for this event is for not for profit and for profit owners/operators/administrators of roughly 10 or fewer facilities providing long term and post‐acute care. Registration and attendance for companies and individuals who sell or market products and/or services to provider organizations is limited to sponsors only. House and Senate negotiators are closing in on a government-wide spending bill that appropriates $1.1 trillion for fiscal year 2014. The official deal was unveiled Monday and will be debated throughout the week, though legislators will have to act fast, as a deadline is quickly approaching. The House passed a three-day stopgap resolution to keep government agencies funded through the rest of the week while both chambers debate the omnibus package. The Senate is expected to follow suit. The proposed legislation, which is hundreds of pages long, picks up where the December budget agreement left off. Though it stays within the confines of the guiding legislation championed by Paul Ryan and Patty Murray, it lays out much more detail. Though there are some healthcare shakeups included in the package, none of them include a change in payment to AHCA/NCAL members. The bill, however, does allocate the Centers for Medicare and Medicaid Services fewer operational funds for FY 2014 than the agency had last year. CMS issued its much-anticipated final rule defining Home and Community-Based (HCBS) settings under Medicaid waiver programs. Getting this rule right for both the consumer and the profession has been a high priority for us over the past several years, as previous drafts we studied and commented on denied or greatly restricted Medicaid access to seniors and individuals with disabilities who rely on these services. For our organizations, the profession and consumers, the original rule was a clear threat of possible dislocation to the majority of the 139,000 individuals who rely on Medicaid and are currently residing in assisted living and residential care communities nationwide. However, this final rule is a major relief for everyone, especially AHCA/NCAL given the critical nature of this rule. From the beginning we worked collaboratively with stakeholders to educate CMS about the potential crisis the proposed rule contained. Disability specific complex - Rather than citing disability specific complex in the list of settings presumed to be an HCB setting, the CMS final rule includes language that reads "any other setting that has the effect of discouraging integration of individuals in the broader community. "Rebuttable presumption" - In the proposed rule, there was a provision where the Secretary would have a "rebuttable presumption" that certain settings that are co-located or near institutional settings such as NFs. The "rebuttable presumption" provision has been struck from the final rule and replaced with language stating that these settings will be subjected to heightened scrutiny if states seek to include such settings in their HCBS programs. States will be required to present evidence to CMS that the setting is HCB in nature and does not possess the qualities of an institution. CMS will consider input from stakeholders in such instances and states will be required to seek public input. Choice of provider in provider-owned or controlled settings - In the draft rule, there was language that required that beneficiaries have choice in service providers. The final rule says that when an individual chooses to receive HCB services in a provider-owned setting where the provider is paid a single rate to provide a bundle of services, it is assumed that the individual is choosing that provider and cannot choose an alternative provider to deliver all services included in the bundled rate. For services not included in the bundled rate, individuals may choose any qualified provider including the provider who owns or controls the setting. Private rooms/roommate choice - The proposed rule required providers to offer Medicaid beneficiaries a choice of whether to share a room. Under the final rule, that requirement has been shifted to states. Now states will be required to offer options available in both private and shared residential units within HCBS programs. Providers will be responsible for facilitating individuals being able to choose their roommates in residential settings. New 1915(c) waivers or 1915(i) state plans must meet the new requirements to be approved. For currently approved 1915(c) waivers and 1915(i) state plans, states must evaluate the settings currently in their 1915(c) waivers and 1915(i) state plan programs and, if there are settings that do not fully meet the final regulation's home and community-based settings requirements, work with CMS to develop a plan to bring their program into compliance. The public will have an opportunity to provide input on states' transition plans. CMS expects states to transition to the new settings requirements in as brief a period as possible and to demonstrate substantial progress during any transition period. CMS will afford states a maximum of a one-year period to submit a transition plan for compliance with the home and community-based settings requirements of the final rule, and CMS may approve transition plans for a period of up to five years, as supported by individual states' circumstances, to effectuate full compliance. Assisted Living settings are no longer excluded based on proposed physical plant/location requirements. As you will recall, AHCA/NCAL had serious concerns with provisions that excluded assisted living settings based on proposed physical plant/location requirements. It appears that many of these issues have been addressed. The final rule requires that HCBS programs have a person-centered planning that addresses the health and long term services and support needs that are reflective of the individual Medicaid beneficiary's preferences and goals. According to CMS, the agency will be providing additional guidance to states regarding the process for operationalizing person centered planning. HCBS settings must meet certain qualifications. There are additional requirements for provider-owned or controlled HCBS residential settings. Notes: CMS is allowing states a one-year maximum timeframe to submit a transition plan for compliance with the final rule and that the agency may approve transition plans up to five years to ensure full compliance. Also, CMS has a website that contains fact sheets and other materials related to the new rule. In addition, CMS will host a webinar on Thursday, January 23 at 1 p.m. EST to discuss the final rule, with a repeat of the webinar on Thursday, January 30, at 1 p.m. EST. For information on these programs, visit CMS' Home & Community Based Services website. AHCA released its annual Medicaid Shortfalls report this week, titled A Report on Shortfalls in Medicaid Funding for Nursing Center Care. The report estimates the nation's highest Medicaid shortfall on record - over $7.7 billion in 2013. For a typical 100-bed facility in which 63 percent of residents rely on Medicaid for coverage, this shortfall would mean a loss of more than $550,000 annually. The estimated average Medicaid shortfall for 2013 of $24.26 per Medicaid patient day is 8.6 percent higher than the preceding year’s projected shortfall of $22.34. On average, Medicaid reimbursed nursing center providers only 88.3 percent of their projected allowable costs incurred on behalf of Medicaid patients. This means that for every dollar of allowable cost incurred for a Medicaid patient in 2013, Medicaid programs reimbursed, on average, approximately 88 cents. Between the time periods covered by the cost reports used in the study and 2013, this study projects costs will increase an average of 3.8 percent, while rates increased an average of 2.9 percent. Be sure to also check out the report for a comprehensive review of the factors affecting the future of nursing care funding, including managed care, state budget trends, home and community-based expansion, and more. Participating states' shortfall information is included on AHCA website. Read Provider magazine’s take here. How do you use the Shortfalls information? Send your story to Amy Mendoza. The Health Resources and Services Administration’s (HRSA’s) Office of Rural Health Policy (ORHP) recently announced that Dr. Mary K. Wakefield, the Administrator of HRSA, will be speaking this week on the Affordable Care Act (ACA). You are invited to join the call with this leader from the U.S. Department of Health and Human Services (HHS), who had been focused on the rural and medically under served communities during implementation of the ACA. Call in details are below. 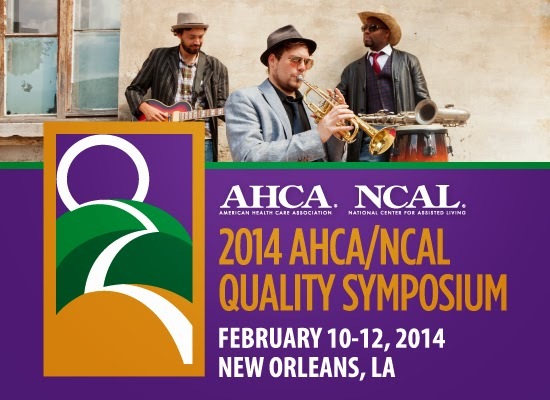 Friday, January 24th is the last day to pre-register for the 2014 AHCA/NCAL Quality Symposium in New Orleans. After this date, if you would still would like to attend the symposium, on-site registration will be available on Monday, February 10th before the event starts. If you plan to be part of this highly-engaging event, don’t delay any longer and register toady! The AHCA/NCAL Quality Symposium is scheduled for February 10-12. For registration, meeting agenda, intensive sessions, education, speakers, travel, and more, visit the Quality Symposium website. Thank you to this year’s event sponsors: American HEALTHTECH, DIRECT SUPPLY, e HEALTH DATA SOLUTIONS, Prevail, HealthCap, KRONOS for Healthcare, matrixcare, MEDLINE, NATION RESEARCH Corporation, PINNACLE, PointRight, TEAMTSI Corporation, and TENA. Start the New Year off right and keep your staff informed! AHCA Publications has sought out the most valuable and informative resources in order for you to help you provide the best quality care to your residents. A hot topic this year is the care of residents with dementia. Check out one of our new dementia publications below and be sure to browse through our all of our new additions at our online store. Keep people with dementia fully engaged in daily life and help them maximize remaining functional skills by tapping into their innate abilities and interests. Engaging and Communicating with People Who Have Dementia is a trove of advice on how to identify people's strengths and preferences and then use this knowledge to improve activity programming, communication, and functional independence. On Monday, January 13, U.S. Senator Sherrod Brown (D-OH) held a press conference at the MetroHealth Medical Center in Cleveland, Ohio, on his legislation, the Improving Access to Medicare Coverage Act (S. 569), which would allow for the time patients spend in the hospital under “observation status” to count toward the requisite three-day hospital stay for coverage of skilled nursing care. Michael Coury, Chief Operating Officer of Generations HealthCare Management and President of the Ohio Health Care Association (OHCA), attended this important event on behalf of OHCA and AHCA/NCAL. Joining Senator Brown on stage to discuss the importance of passing this legislation was June Gold, an 84 year-old from Cuyahoga County who suffered a severe gash in her leg after her wheelchair scooter malfunctioned and tipped over. While at the hospital for five days, Gold received a transfusion for extreme blood loss and 20 staples in her leg. But because she remained under “observation status” during her hospital stay, doctors told her that her therapy (or post-acute stay) would not be covered by Medicare. The Senator was also joined by Dr. James Campbell, the Director of Geriatric Health at Cleveland MetroHealth and a Professor at the Case Western Reserve University School of Medicine; and Richard Schwalberg, the Administrator of Cleveland’s Menorah Park, which provides skilled nursing care to seniors. AHCA/NCAL and several other provider and beneficiary groups have endorsed the Improving Access to Medicare Coverage Act. For more information about observation stays and the three-day stay requirement, please visit the AHCA/NCAL website. Centers for Medicare & Medicaid Services (CMS) contractor, TMF Health Quality Institute, has just contacted AHCA to let us know that they will discontinue resending copies of the 2013 SNF PEPPER report as of January 1, 2014. As reported previously, national skilled nursing facility (SNF) claims data was analyzed for the first time in 2013 to identify targeted areas within the SNF prospective payment system (PPS), which could be at risk for improper Medicare payment. The PEPPER reports were sent to all SNF facility administrators in August 2013, via paper copy, and subsequently some of these reports were lost. TMF has been providing duplicate copies of the PEPPER reports up to this time; but they have currently stopped this service. PEPPER reports will again be distributed in upcoming years, and CMS and TMF are currently working on a secure website portal, making it easier for SNF providers to safely obtain these important reports. We will continue to keep you apprised as we learn more about the new process. The US Department of Health (HHS), Office of Medicare Hearings and Appeals (OMHA), has recently announced it will be holding a meeting on Feb. 12, 2014, for those appealing Medicare claims to discuss various agency attempts to handle the lengthy appeals backlog. During the meeting, OMHA hopes to address the initiatives it is putting in place to help with the backlog, as well as those planned for the future. OMHA also solicits input from those going through the appeals system on how to reduce the backlog. OMHA states that currently it is docketing cases and prioritizing beneficiary appeals. It also is pursuing an electronic case management system, or electronic case adjudication processing environment to help improve efficiency and access for those pursuing appeals. To obtain a complete copy of the notice and to register to attend the event go to the Government Printing Office website. In a press release issued Friday, Jan. 10, AHCA/NCAL brought light to the recent media attention garnered by the complex issue of observation stays. The press release links to two media segments focused on the issue: a recent episode of NBC's Nightly News and an op-ed piece published in The Hill. The news story comes on the heels of a recent opinion-editorial piece in The Hill, “Don’t Deny Seniors Nursing Care,” penned by AHCA/NCAL President and CEO Mark Parkinson on behalf of the observation stays coalition. To read the complete press release, visit the AHCA/NCAL website. Each new year is a fresh start to begin a quality journey, and there's no better way to mark success along that path than the AHCA/NCAL National Quality Awards program. Each year, hundreds of centers seek to improve their performance by following the Baldrige criteria as set forth in the quality awards program. A Bronze application can be completed in as few as 10 hours, so there’s plenty of time for members to begin the first step in the quality journey. Video guides to complete applications at all levels, supporting documents and sample applications are available on the application resources page of the Quality Award website. The Quality Award submission portal is open, and applications can be submitted online at qa.ahcancal.org. For questions about the program, please contact Quality-Award@ahca.org. The Centers for Medicare and Medicaid Services (CMS) has created a new office to handle complaints and appeals under the Affordable Care Act’s health insurance marketplace as well grievances and some provider appeals under Medicare according to Inside Health Policy. The new Office of Hearings and Inquiries (OHI) will be led by former Medicaid Program Integrity Group Director Angela Brice-Smith. Listed in a recent Federal Register notice, as part of the move to consolidate all complaints under a single office, CMS has eliminated its Office of Public Engagement (OPE) and is moving several of OPE's functions into the newly created OHI. According to inside Health Policy, consumers will be able to go through the new office to appeal a range of marketplace decisions, including eligibility to purchase a plan in general, the amount of federal subsidies available, and eligibility for an exemption from the individual mandate. CMS recently posted appeals forms on Healthcare.gov. In addition to the handling appeals for consumers in the exchanges through a newly created Office of Marketplace Eligibility Appeals, OHI is also tasked with assisting Medicare beneficiaries with complaints, inquiries and grievances, and in gathering information necessary to file Medicare appeals. The new office will also handle administrative hearings or appeals under the jurisdiction of the Provider Reimbursement Review Board, Medicare Geographic Classification Review Board and CMS Hearing Office, the agency told Inside Health Policy. Functions of the now-defunct Office of Public Engagement are shifted as follows: The Medicare Ombudsman is moved to OHI, tribal affairs is moved to the Center for Medicaid and CHIP Services, and emergency preparedness is shifted to the Consortium for Quality Improvement and Survey & Certification Operations. Also, the Office of Hearings is moved from the Office of Operations Management to OHI. Early Bird Deadline for NCAL Spring Conference (March 10-14) Extended Until January 17! Act fast to get the early bird discount for the NCAL Spring Conference, taking place at Caesars Palace in Las Vegas March 10-12! Register today for this in-depth learning experience and receive a discounted rate. The 2014 theme, “The Future is Now,” will feature the latest developments in the assisted living profession as well as dynamic keynote speakers and valuable networking opportunities. Held March 10-12, 2014, this is a must attend event that will help your organization reach its optimal potential. Closing keynote speaker John Moore, a branding expert and marketing mastermind from Starbucks and Whole Foods. A number of consumers have new health insurance coverage that started on January 1, 2014, due to the Affordable Care Act (ACA). Some of these consumers may be new to private health insurance coverage or may be reentering the health insurance market after a gap in coverage and may have questions about how to use their new health insurance coverage. The Guide to Using Your New Marketplace Coverage provides direction to consumers on how to ensure they are covered; how to obtain prescriptions, medical and emergency care; and how to appeal an insurance company decision. Learn about key nutrition areas and accurate interpretation for the Minimum Data Set (MDS) 3.0. This webinar presentation will include overall revisions related to the MDS 3.0 and additional information focusing on nutrition related components. The speakers will present the newest revisions from the Centers for Medicare and Medicaid Services. The nutrition focus areas will include Section K and other assessment area revisions will be presented along with specific guidance for coding the MDS 3.0. Regulatory guidance will be addressed along with clinical standard recommendations. On December 18, 2013, the U.S. Senate Special Committee on Aging, led by Chairman Bill Nelson (D-FL) and Ranking Member Susan Collins (R-ME), held a hearing entitled, “The Future of Long-Term Care Policy: Continuing the Conversation” that AHCA/NCAL staff attended. The Senators heard from a panel of experts, including three members of the U.S. Commission on Long-Term Care (LTC), on a number of ideas aimed at helping families and the government prepare for the increasing demand for long-term care services. 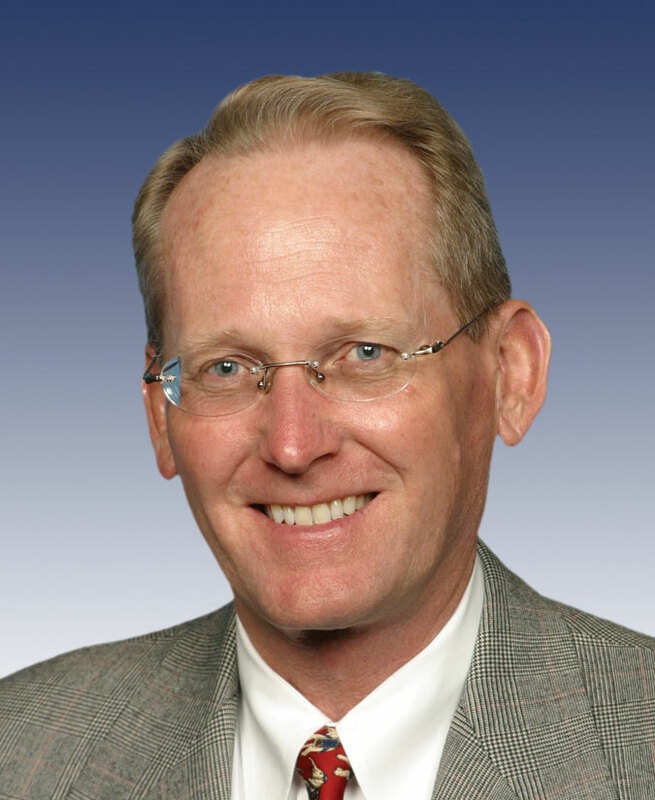 During the hearing, Chairman Nelson brought light to the fact that some member of his committee support the LTC Commission’s September 2013 report recommendation of eliminating the three-day inpatient stay Medicare requirement that beneficiaries must satisfy before they are eligible for skilled nursing care center benefits. AHCA/NCAL applauded the LTC Commission’s report, particularly its recommendations to end the Centers for Medicare and Medicaid Services three-day inpatient hospital stay requirement, which effectively solves the observation stay loophole. For more information about the three-day stay requirement and observation stays issue, please visit the AHCA/NCAL website. Contact an agent, broker, or insurance company that offers plans through the SHOP Marketplace. Be sure you and your employees enroll in a SHOP Qualified Health Plan. According to the HealthCare.gov site, the insurance company can tell you exactly how much coverage will cost and can enroll your employees directly into the plan. If you prefer, you can opt to wait to enroll employees until after you receive an official notice of eligibility from the Federally Facilitated SHOP. You’ll need this notice before you file your tax returns, if you want to claim the enhanced Small Business Tax Credit. If your business is located in a state that is running its own SHOP Marketplace, you’ll need to follow that state’s application and enrollment process. All the federally facilitated exchanges are available for employers with less than 100 employees. The State exchanges are available to those employers with less than 50 employees, and there are 16 state exchanges and 35 federally facilitated exchanges. Employers that are eligible for SHOP can call the Health Insurance Marketplace Small Employer Call Center at 1-800-706-7893 to get general SHOP and small business questions answered by a customer service representative Monday through Friday, 9am to 7pm EST. If you have any questions relating to the ACA, please submit them to insurancecoverage@ahca.org, and be sure to check out AHCA/NCAL’s ACA website. From those celestial heights, we move to the infernal layers, as Vivian Tellis-Nayak continues to send his dispatches from the hellish realm of Parkinson’s disease in this month’s special feature. In the third installment of his ongoing Web journal, Tellis-Nayak takes us through the ordeal of deep brain stimulation, where doctors literally drilled a hole in his head in order to put an electrode inside, hoping to stave off the ravages of the disease. This month’s Focus on Caregiving,has some thoughts from Pennsylvania, where authors Linda Hnatow and Karen Russell report on an innovative collaborative dedicated to preventing pressure ulcers. Hnatow and Russell find that the Pennsylvania Restraint Reduction Initiative, founded in August 2008, has helped caregivers in post-acute and long term care not only to identify the kind of best practices that make residents’ and patients’ lives easier—but to spread the word so that other providers can take advantage of the cooperative’s lessons. I check back in on U.S. Rep. Jim Renacci as part of our ongoing series of congressional profiles. Renacci, a centrist Republican from Ohio with more than three decades of experience in long term care, is backing a bill that would eliminate the requirement that Medicare patients spend three days in the hospital before they can be reimbursed for skilled nursing care. Last week, Kaiser Health News released a primer entitled, The Health Law Takes Effect: A Consumer’s Guide, on how the law impacts consumers. As you may know, starting on January 1, 2014, key provisions of the Affordable Care Act (ACA) took effect. Topics covered in the primer include, among other things, what parts of the law are in place, the Small Business Health Options Program (SHOP), impact of the law on seniors, and potential changes ahead for the law. If you have any questions relating to the ACA, please submit them to insurancecoverage@ahca.org, and be sure to check out AHCA/NCAL’s ACA website. “Living the Aloha Spirit” is the theme for National Nursing Home Week (NNHW), May 11-17, 2014. To Hawaiians, the word “aloha” has a deeper significance than as just a word of greeting or fond farewell. By Living the Aloha Spirit, we show others love and respect and joyfully share life in order to create a better world. Key attributes of the “Aloha Spirit” include patience, kindness, humility and good feelings in caring about others. Embracing the Aloha Spirit will reflect how your skilled nursing care center practices “aloha” as a means to provide a harmonious environment for residents, patients, families, staff and any person who interacts with the long term and post-acute care community.